Tandem Coffee Roaster’s first shop in Portland, Maine, was opened in 2012. The charming space includes a roastery and just enough tables to give it a cozy feel. Two years later, Tandem opened a bakery and coffee shop across town. With their freshly-roasted beans, expertly-prepared espresso drinks and malted iced coffee, Tandem has made a name for itself in a small city where coffee is big. Will Pratt, who owns Tandem with his wife Kathleen, discusses Tandem’s relationship-driven supply chain, vinyl records and the local coffee culture. Paste: What’s important to Tandem from the perspective of buying beans? Will Pratt: The coffee has to have a story. Most of our coffee comes through importers, but we’re starting to travel a little bit with them, too. The people that we work with have been doing it for a long time; they’re vetted, and we know their principles. Ideally, we’d like to have coffees from the same farms, from the same co-ops, year after year. It doesn’t always work out that way, but that is what we’re striving for and building as many direct relationships as possible. Also, we’re looking for really clean, really sweet coffees. Those are the two most important things. Paste: What origins are you particularly excited about right now? WP: We just sent our production manager to Guatemala and Honduras and all of the coffees that she sourced while she was in Guatemala have just landed. She went to pretty much every farm that we are going to be serving. That always makes the biggest difference. Last year, we went to Ethiopia and bought coffees in February, and when they finally came in, it was like being there all over again. Paste: When you meet the farmer you’re working with, why is it so exciting? WP: That’s hard to explain. You don’t really think about it before you go, but when you’re on a coffee farm, it makes your job all make sense. Even though you thought it made sense already. This is why we do this. It’s another amazing relationship. You’re just more excited about your job and more excited about your product. 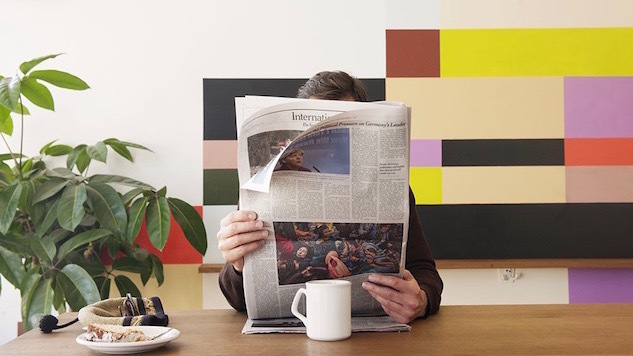 Paste: Tell me about Tandem’s coffee and vinyl subscription. That sounds amazing. WP: One of our friends that we met through croquet [at a party], owns an online record store. They’re called KMA. Every other month they choose a record and then we choose a record. You get one bag of coffee and one record a month. It’s definitely the thing we’re most excited about right now. Paste: How do you see Tandem in relation to the coffee scene in Portland? WP: As the café experience goes, we’re the only place that doesn’t have wifi. Other than that, what’s cool about Portland is that all of the big cafes roast their own coffee. Everyone knows a lot about the coffee that they serve. It’s pretty awesome in that way, and there are a lot of us for being only 60,000 people in town. We’re all making each other try really hard, which is good for the town. I feel like as we’ve gotten better, everyone just keeps getting better.